Compliance is one of the fundamental principles underlying ZF’s business culture. The Compliance organization at the ZF Group defines internal rules and helps ensure that they are followed. It also offers employees communication, advice and training on compliance-relevant topics and issues. Compliance forms the framework that enables our employees and business partners to act properly and with integrity. Our Compliance Management System is designed to support the prevention of compliance violations by making compliance an integral component of everyday work, enabling employees and business partners to identify and avoid problematic conduct early and make the right decisions. To support our system, we offer employees and business partners a range of contact options in case of uncertainty or to report specific concerns. The ZF Compliance organization, part of the Legal Department, is led by Jeff Cooper, Head of Global Compliance. The Legal Department is led by Jan Eckert, General Counsel and Chief Compliance Officer (CCO). Dr. Jan Eckert, General Counsel & Chief Compliance Officer (left) and Jeffery Cooper, Head of Global Compliance. The Corporate Compliance department is responsible for the global implementation of the Compliance Management System at the ZF Group. The ZF Compliance Management System focuses on prevention, detection and responses to compliance topics, and supports business implementation of compliance on a global basis. 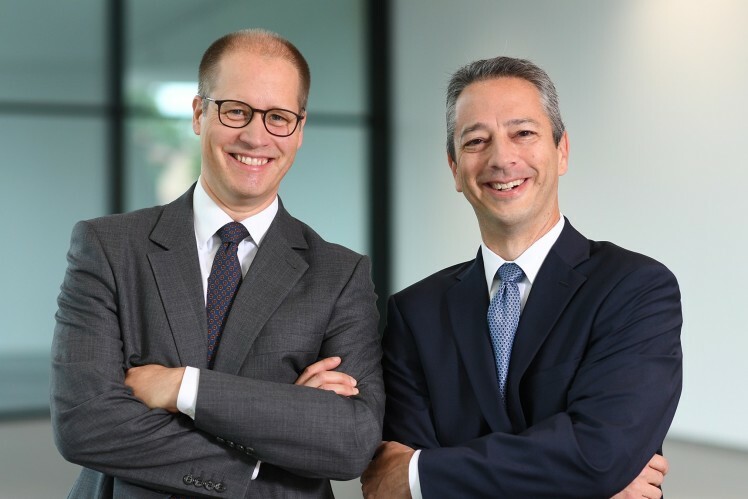 As part of the ZF Legal Department, Corporate Compliance uses the network of lawyers at the company, as Compliance Officers, to reach and establish a close connection to the business. We have established a company-wide Compliance organization to support the prevention and detection of compliance risks at the ZF Group. Compliance Officers and Compliance Delegates are in place at each operational division to support the global implementation of compliance management system within the operational business units. In addition, Compliance Officers within key corporate functions support implementation of compliance at the corporate level. This global network of professionals brings compliance focus directly into the business operations and corporate functions. Compliance Officers meet regularly, to share practices and learning and to stay informed and coordinated. ZF provides an electronic notification system which enables reports regarding serious compliance breaches to be submitted online, round the clock, and anonymously.